Marion Barry Jr. made a lot of blacks rich. Barry served as the second Mayor of the District of Columbia from 1979 to 1991, and again as the fourth mayor from 1995 to 1999. Different from today’s professional black political, Marion Barry’s legacy is that of a charismatic voice for the voiceless. Marion Barry was a mayor with racial conscious and purpose that set the bar for government officials toward Blacks economic development. Most Whites don’t understand our loyalty to The Man. As a black mayor who held office in the nation’s capital, Barry was part of an unmatched era in our nation’s political history. Barry came to power at a time when the urban areas were rife with issues. Blacks had ascended, but the cities they often occupied were in decline. Unemployment and crime rates were high. During the time, there was more will than wallet. Barry had great impact on marginalized communities. He was a”national symbol of self-governance for urban blacks.” An urban visionary, Barry provided jobs for youth and business to blighted areas. His years as mayor are inspiration to Blacks. As mayor he was totally committed to the economic future of Washington, DC. Marion was one of the first Black mayors to realize that while in office he could make a difference in terms of Black economic development. He was astute to recognize opportunities that Black-own businesses could perform contractually for cities and create employment for the Black residents. Black businesses started to grow in Washington, DC because their mayor demanded it. When cable television started to expand, Marion deemed that the DC franchise for cable be awarded to a Black DC resident. He also encouraged Mayor Coleman Young of Detroit to do the same. This was the beginning of Bob Johnson’s quest to build Black Entertainment Television. In Detroit, it was Don Barden’s entry to a very large business empire. From these two companies many Black millionaires evolve. Mayor Marion Barry networked Black firms into the city’s procurement opportunities. He encouraged other Black mayors to emulate what he and Coleman Young did. Blacks would do well to use Marion as a measurement for the performance of current mayors. Despite his ills via addiction and fast women, he remained focused on civic participation and the inclusion of Blacks businesses. A transitional figure whose roots and aspirations are among blacks Barry was as serious about the economic development of Black communities as greats like Parren J. Mitchell, Arthur A. Fletcher and Booker T. Washington. Barry became a professional politician. He left politics for few years, then ran for city council and won in 2005, serving until his death in 2014. There aren’t too many like him and we all should be more impatient with elected officials who do not understand their power and the ability to use it to the benefit of their constituents. Each of us should join or express support for Black economic initiatives. Ask your current mayor about Black business expansion as a result of his/her leadership. Encourage them to emulate the great Marion Barry. The majority press, FBI and Congress did their best to destroy Barry for what he did for the Blacks’ economics. 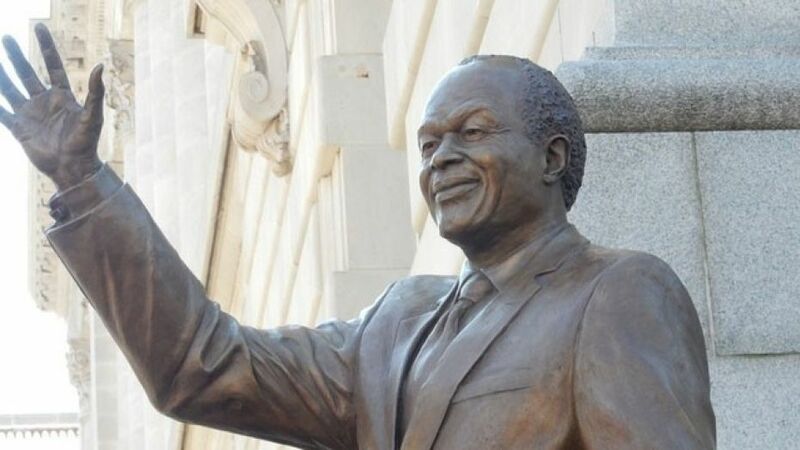 Economic development is the cornerstone for everything; yet toward that objective, Marion Barry would not rate Blacks’ contemporary behavior high. We don’t spend with our people like we should, nor and we forged our organizations and efforts toward Black-owned businesses, banks and homeowners. We can’t continue to be silos. The most important need now among African Americans is less talk and more strategic collective actions. Hey Buddy!, I found this information for you: "A Business Salute to Marion Barry by William Reed". Here is the website link: https://blackmeninamerica.com/a-business-salute-to-marion-barry-by-william-reed/. Thank you.